A mouthful in every sense of the word, these little guys are delicious -- full of flavour and the perfect balance of sweet and crunchy. I followed this basic Spark Recipe, then added in walnuts and coconut for some texture and bite (a good call -- I'll never go back to plain banana muffins ever again). The recipe supposedly makes 24 muffins, but I got 12 average-sized ones that were gone in the twinkling of an eye. YUM! 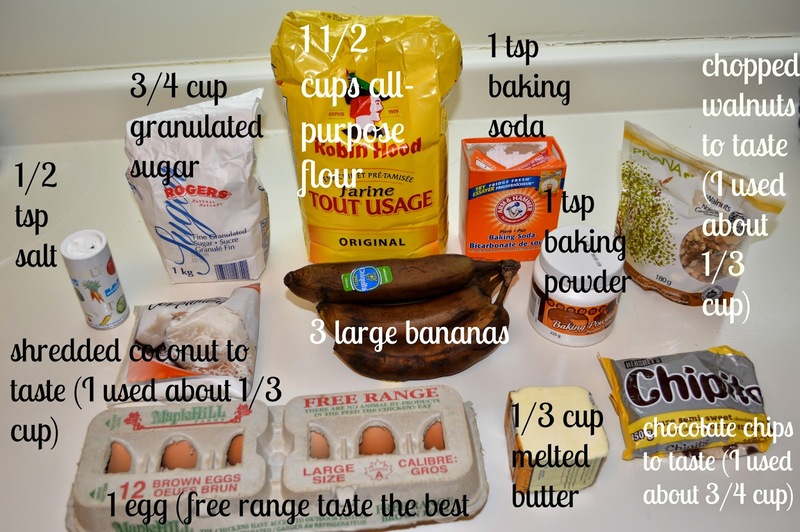 I need to try these - love a chocolate + banana combo!